Company (we'll call them "C") develops, at great investment of time, money and other resources, a new technology that promises to be game-changing. One of their senior level engineers (we'll call him "E") decides that after 10 years at C, he's tired of the politics at the office, hates the long commute, and is unhappy with his salary. He's ready to strike out on his own, and start his own company. One month after E tenders his resignation, C learns that E has joined a small, start-up competing company. C isn't entirely sure in what capacity E has joined the competitor ("P"), but from their website, it certainly looks like they are directly competing with C.
C, naturally, is rather upset at this development, and concerned that P will, and can, use the trade secrets that E developed and learned on C's dime - and P will get access to that - for free. C then turns to its high-powered lawyer ("L"), who tells C, "You have a slam-dunk case. E is in clear violation of his non-compete, and we should have no problem getting a court to issue an injunction barring P from employing E, and unfairly taking your hard-earned trade secrets." As it turns out, L wasn't exactly right; it wasn't a slam-dunk after all. And the Court refused to grant any injunctive relief without a preliminary hearing - which cost C $250,000 - and ended up not getting them the injunction they sought. Because there was a huge gap between what C suspected - and what they could actually prove. Simply put, in order to secure injunctive relief, the plaintiff has an extraordinarily high burden of proof - and at that point, all C had was its suspicions and conjecture. Moreover, C couldn't establish what affirmative steps it had taken to assure that these "trade secrets" remained confidential. And that wasn't nearly enough to get the TRO ("Temporary Restraining Order"). Even worse, C learned that if they continued to litigate the case, and managed to secure a verdict against P and E - a start-up company and an individual, the judgment would likely be uncollectible, because neither defendant has a great deal of assets. So, what could C have done differently to avoid this terribly undesirable scenario? (1) Create a Friendly Work Environment - At the risk of stating the obvious, the absolute best way to prevent your trade secrets from going out the door is to make sure no one wants to leave in the first instance. (2) Take Concrete, Demonstrable Steps to Protect Your Confidential Information - Just saying something (or as is often the case, "everything") is confidential doesn't cut it. Trade secret information should be specifically designated that way in a company's databases, and should be password protected. And, importantly, it should be specifically identified (rather than just with boilerplate language) in key employees' non-disclosure and non-compete agreements. (3) Have a Very Thorough, Structured Off-Boarding Process - This too, should come as no suprise. Many people, when striking out on their own, are terribly afraid of being sued. And reminding them, in great detail, of their ongoing obligations to honor their non-compete, non-solicitation and non-disclosure agreements when they leave, is very often effective at preventing departing employees from violating these agreements for fear of being sued. 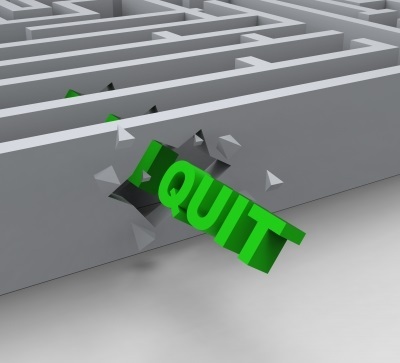 Post a Comment to "3 Best Ways to Protect Trade Secrets When Employees Resign"